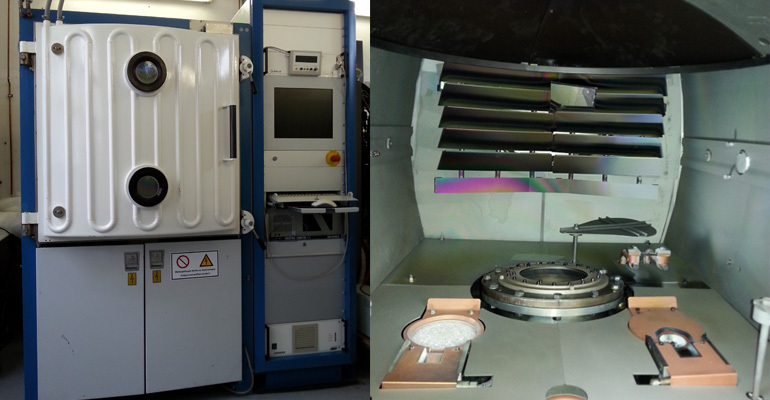 For high capacities and sophisticated coating systems. Interior: Possible configuration: 2x e-beams, Taurion plasma source, quartz radiator heater. Retrofit as per "Making NEW from OLD"
We will overhaul and revise your existing facility according to your wishes and will be pleased to do this with our Windows XP or Windows 7 based control. 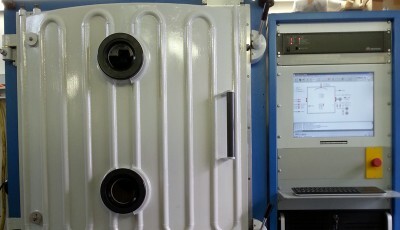 Fittings in the coating chamber of a PRO 800. 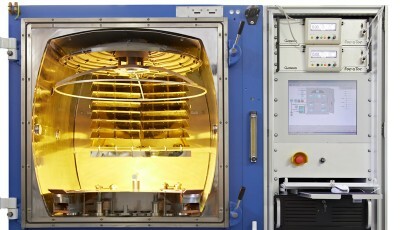 Application in optics and electronics. 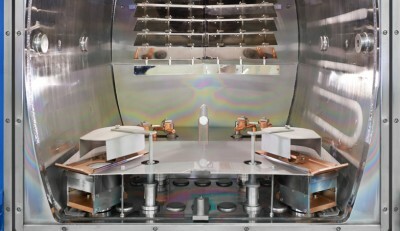 Here, with 2 x e-guns, 2 x thermal evaporators and a glowing device. For medium capacities and sophisticated coating systems. 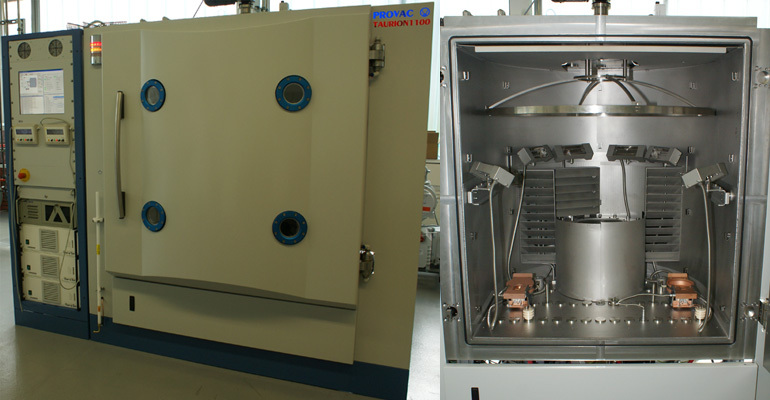 Interior: Fittings in a TAURION 800 C.
2 x e-guns, 1 x thermal evaporator, rear heater and plasma source. We offer you our extensive expertise in the facility construction of vacuum coating facilities, process development, planning and retrofitting, repair and maintenance of your coating facility (regardless of the manufacturer), and in procuring spare parts and components.